A world-class menu, award-winning wine list, served in a historic building with beautiful accents and décor – Vintage 95 is a charming and unique restaurant set in the heart of downtown Chandler. The week of November 14 – 20, Vintage 95 is celebrating its five year anniversary with exclusive wine and dinner specials. Vintage 95 will also be offering lunch, brunch and happy hours specials during its five year anniversary week. Any half sandwich with any half salad or cup of soup will be $8. House cocktails and wine will be $5 during happy hour. Brunch appetizers and cocktails such as mimosas, Bloody Mary’s and screwdrives will also be $5. To kick off the week, master sommelier Michael Jordan will be leading a unique event Taste like a Master. This hands-on tasting class will focus on five wines paired with small bites. Jordan will teach attendees about the variety of flavors in wines and how to discover them. Tickets are limited. In 2011, Vintage 95 opened to offer a sophisticated and inviting restaurant with a substantial wine list and delicious menu to match. 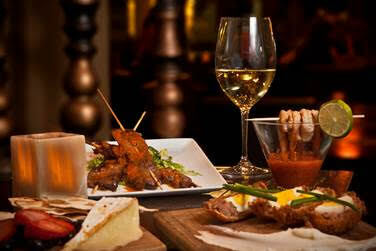 With over 300 wines from around the globe the wine list is one of the most extensive in the Phoenix area. The menu features delicious options that pair well with a variety of wines like the pan roasted duck breast, grilled seabass and NY strip steak. Appetizers such as warm brie, charcuterie board, pork belly and bone marrow entice diners and offer an appetizing option prior to dinner.